There is no indication in Acts 2 that the disciples were still in that upper room on the day of Shavu’ot. Those of us in the Messianic Jewish movement turn a very critical eye toward the mainstream church’s traditional interpretations and explanations, questioning shaky assumptions and exposing theological error—most of the time. More often than we may be willing to admit, however, we also accept other traditional interpretations without even questioning them. A careful reading of the book of Acts seriously challenges this assumption for several reasons. It seems far more likely that the ‘one place’ in which the believers had assembled was one of the Temple courts. It is true that the disciples met together in an upper room somewhere in Jerusalem at the end of Acts chapter 1. It was the day of the Ascension. They assembled for prayer. That was ten days prior to Shavu’ot. 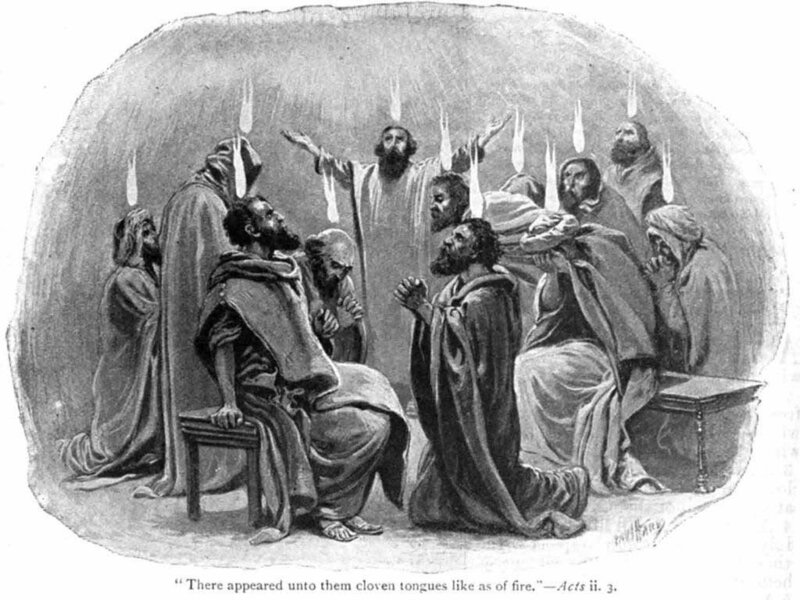 It is not at all clear that the assembly of 120 disciples discussed in Acts 1:15, however, took place in the upper room. A room accommodating 120 would have been a large upper room indeed. It is unlikely, but not impossible. 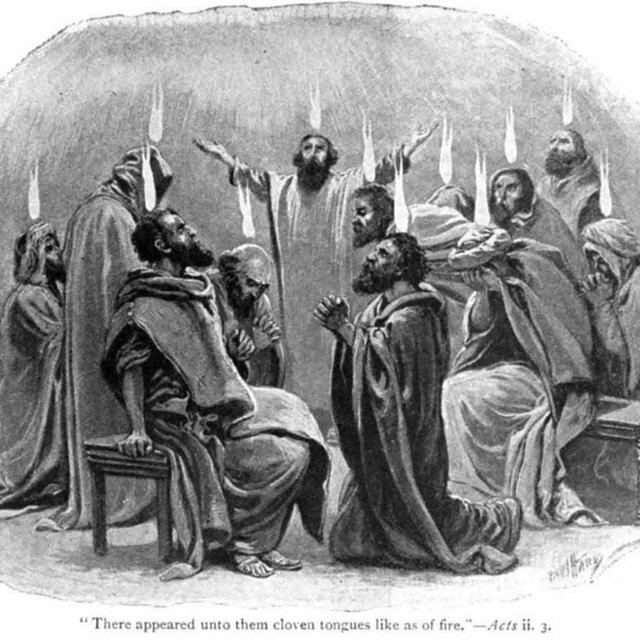 It is impossible, however, that there was an upper room large enough to contain the thousands of Pentecost pilgrims who witnessed the Shavu’ot event. There is no indication in Acts 2 that they were still in that upper room on the day ofShavu’ot. Ten days had elapsed since the disciples had entered the upper room in Acts 1:13. But if they were not in the upper room, where were they? Torah Club:Chronicles of the Messiah clarifies that they were likely in the Temple. Deuteronomy 16:16 enjoins all men of Israel to present themselves before the LORD (i.e., at the Temple) on the day of Shavu’ot. Since the disciples were in Jerusalem, it would have been a transgression for them not to appear in the Temple. In addition, Luke made it clear that the disciples met every day in the Temple, where they worshiped God continuously (Luke 24:52-53). If so on normal days, how much more so would they have been in the Temple on a holy festival day! We also notice that the outpouring at Shavu’ot occurred at the time of morning prayers (Acts 2:15). We know from Acts 3:1 that Simon Peter and John son of Zebedee kept the times of prayer in the Temple courts. 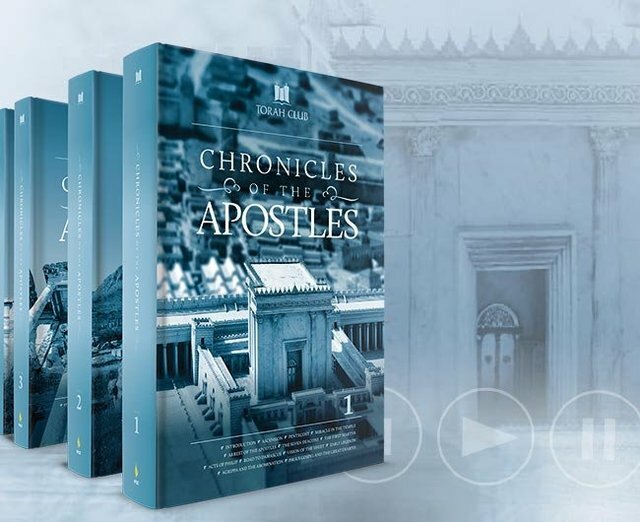 Torah Club:Chronicles of the Messiah further offers reasons to indicate the Temple as the location of the outpouring. The believers were told to await the promise in Jerusalem. As men and women anticipating divine revelation, the Temple would be the logical place to congregate. We also notice that Peter preached to a vast multitude of Jews from all over the world. Only in the Temple courts would such a throng be found assembled on the day of Shavu’ot. Even more compelling is the fact that three thousand people were immersed that day as a result of Peter’s preaching. Where could this happen? Certainly not in an upper room! Nowhere in Jerusalem would facilities for such mass immersion be found other than the Temple mikva’ot. The Temple was equipped to handle mass immersions. The thousands and thousands of pilgrims who visited the Temple on festivals all required an immersion for ritual purification before they could enter the Temple. Therefore, ‘bathhouses’ were placed at the entrances of the Temple, and extra facilities for immersion were found within the Temple courts as well. Finally, the Greek word oikos translated as ‘house’ in Acts 2:2 can be alternately translated as “temple.” In the Scriptures, the term “The House” is a common name for the Temple in Jerusalem. With all of the above in mind, it seems not only reasonable but inescapable to conclude that the ‘one place’ where the believers had gathered together in one accord was in one of the courts of the Temple. Solomon’s Colonnade is the most likely place where the believers were gathered. There, in those outer Temple courts, the men and women could assemble freely together. There the Eastern Gates opened. It was there that the promise of Messiah’s return was anticipated, and it was there that Ezekiel had prophesied the Holy Spirit would enter the Temple. Subsequent to Acts 2, Solomon’s Colonnade became the established place of assembly for the Jerusalem believers. Traditional interpretations typically denigrate the Temple and attempt to disassociate the believers from any association with it. That’s balderdash. The book of Acts shows us that the Temple was the geographical locus of the Yeshua-movement, and it portrays the first-century believers as a Temple-based sect of Jerusalem Judaism. For example, see Exodus 23:19, 34:26; Joshua 6:24; Judges 18:31; Psalm 27:4; Mark 11:17; and 1 Peter 2:5. Furthermore, in Luke 2:49 the Master himself alludes to the Temple as his Father’s House. We are uncertain to what extent gender mixing would have been an issue or not in the inner courts. See Torah Club: Chronicles of the Messiah comments in Chapter 33, 1036-1037.